Finally, a Complete Resource for GA’s and Interns to Gain the Skill Set to Make You a Highly-Sought after Speed Expert. Speed Insiders Academy is a course designed for Graduate Assistants and Interns in the fields of exercises science, strength and conditioning, physical therapy, physical education, kinesiology, and person training. The goal of the SI Academy Course is to give GA’s and Interns an in-depth knowledge of multi-directional speed training, energy system training for speed, coaching skills and large team management, how to analyze speed, foundational jumping and plyometric training, max velocity sprint training, and programming. This course not only benefits the GA’s and Interns, but the directors of a strength and conditioning program, teachers of exercise science and kinesiology, physical education supervisors, physical therapy mentors, and sports performance directors. By the time your 6 months course is completed you will have a strong foundation in multi-directional speed training, including coaching and managing teams. Anyone looking to maximize their ability to assess, breakdown, teach, and implement multi-directional speed. A method of using deceleration training to eccentrically load for athletic performance. Learn the 3 phases of deceleration and how, when, and who to apply with. Understanding the concept of repositioning will change your entire view on athletic multi-directional speed. Discover why movements such as the Plyo Step, Hip Turn, Directional Step, and Glide Step occur. Change of Direction is all in the emphasis. We don’t want athletes to stop, however we want them to be quick. Tap into why deceleration is only part of the equation and re-acceleration is the answer. If you focus on the correct details, then you will see gains in speed rather quickly. 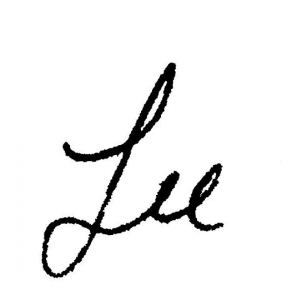 Discover what has helped Lee improve his athletes’ multi-directional speed quickly. Regardless of starting posture/stance, an athlete must hit certain positions with correct postures to accelerate powerfully. Unlock how to coach acceleration for athletes starting in a track start, defensive stance, base stealing stance, or any athletic stance possible. Understanding how to drive certain postures that support speed, re-acceleration, and quickness is important for knowing how to protect your athletes. Learn various strategies to prepare important areas of the body for performance. Do you understand the important variables that build sprint speeds and postures? Find out how to decrease contact time, increase limb positions, and increase force application into the ground. In addition, increase your knowledge of how to program for max velocity speed training. Take a good look at how we can use the broad jump and the vertical jump to analyze power, elastic energy, asymmetry, and postures. Understanding how to check for imbalances using the broad and vertical will potentially save many athletes from injury. At the end of the day, speed is why athletes are excited about training. Conditioning is important, but speed kills. Discover the energy systems I use with my athletes to maximize speed training. Learn how to assess, implement, and teach the shuffle. I will share with you how the Lateral Gait Cycle is properly performed to maximize lateral shuffle speed. Discover the truth and avoid the myths. The lateral run or lateral run-step are the king of athletic movements. I will break through the barrier on how this action has been taught in the past and teach you how actual biomechanics and laws of movement will govern how the lateral run occurs. Gain an understanding of how to influence loading during landing. The concept of the Fake Throw Series will become clear as you see how mass and momentum create postural training like nothing else. Increase your knowledge of how to influence deceleration, change of direction postures, enhance back-to-play athlete’s control, and so much more using the Fake Throws. The backpedal has two forms and techniques to dive into. Being able to teach backpedaling properly can arm your athletes will game saving skills. Proper backpedal technique will be broken down for the Compact Backpedal and the Extended Backpedal. The greatest athletes have ability to quickly open their hips and retreat immediately. They perform a Hip Turn, immediately shuffle, laterally run, or sprint to accomplish a task. Let’s analyze the postures, force angles, and distances gained. Gain insight to an effective strategy to improve your athlete’s confidence and ability to properly load during landing from a jump, leap, or hop. With this approach, I will show you how to progress to increase quickness off the ground and control plant angles. These training components are often over thought. Discover how to devise a system that allows you to safely and effectively develop your athlete’s explosive and reactive speed using ballistics and plyometrics. I place cutting in a different category than reacceleration or change of direction because of its uniqueness. Cutting can be done on a very subtle angle or a sharp angle, it can involve fakes, spins, and combinations. Follow along as I breakdown my system of coaching cutting. Most of my career as a coach, I have used reactionary training to evaluate, prepare, and increase performance in my athletes. The Reactive Tier System for Speed will completely change your approach to teaching speed. One of the most intimidating situations a coach faces how to quickly and efficiently organize a large team of athletes for a training session. I will teach you how to manipulate the formations, line structure, traffic flow, and time programming. I will show you how to manage and breakdown each season. Training the correct skills and systems needs careful attention and analysis. To make an impact our athletes’ performance, you must think differently than the past. My program on how to use tubing and bands to train the connection of the core to the feet, legs, and hips is crucial to the understanding of speed. This module is dedicated to the review of why strength training is important to the development of multi-directional speed. Most significantly, understanding when enough is enough. Always have a plan written. It keeps you organized and reduces legal negligence. Get my inside strategies that will make you think differently about how you plan. This set of videos are my “pocket guide” on what to look for when teaching DECELERATION and RE-ACCELERATION to your teams, groups, and individual athletes. Not only will competitive athletes of all ages and levels dramatically improve from this easy to follow guide on deceleration and re-acceleration, but you will be able to have safe and effective plan to get your “Back-to-Play” athletes back on the court, field, Ice, or track. It’s my “NO-FLUFF” straight forward approach to handling the ALL-IMPORTANT methods of how to train deceleration and re-acceleration. By enrolling in this course, you are allowing me to teach you the most important information you need to know to be proficient at instructing the foundational skills of multi-directional speed, organizing large groups, programming to maximize speed and reduce the potential for injury, and how to know what correctives are needed to improve speed patterns. P.S. 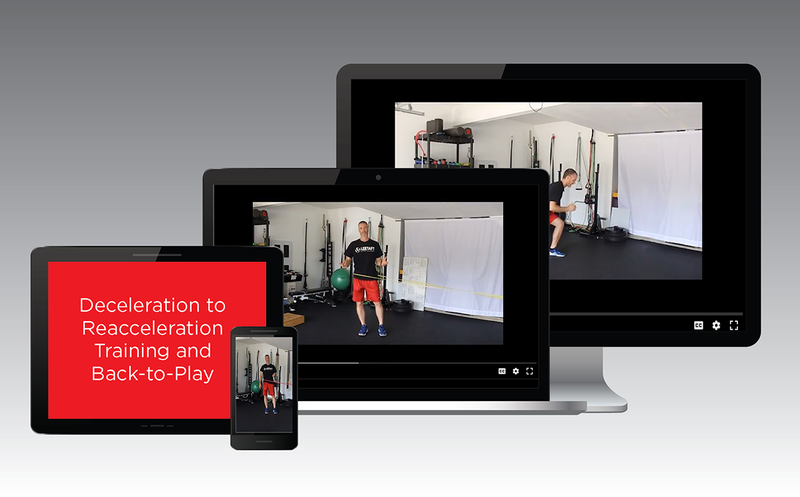 – Get This Course for Only $349, PLUS The Deceleration & Re-Acceleration Training for Sports & Back-to-Play if You Sign up Before May 30th. Becoming a better performance coach and learning to identify what needs to be done for any given situation is going to give you the edge over the coach with a lesser skill-set. Don’t let this opportunity pass you by!